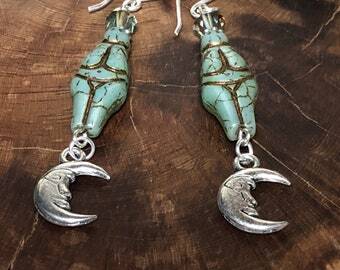 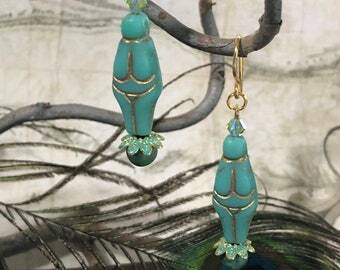 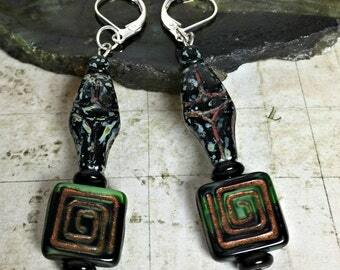 Green Goddess earrings are a perfect addition to any wardrobe. 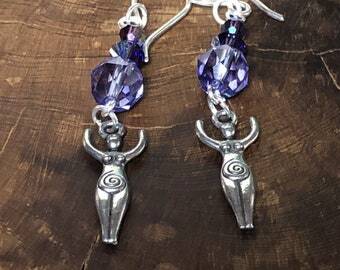 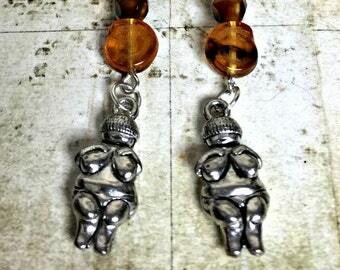 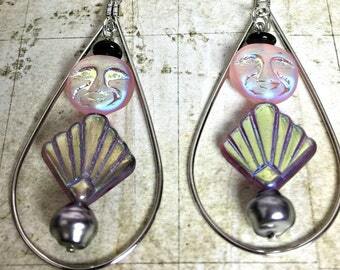 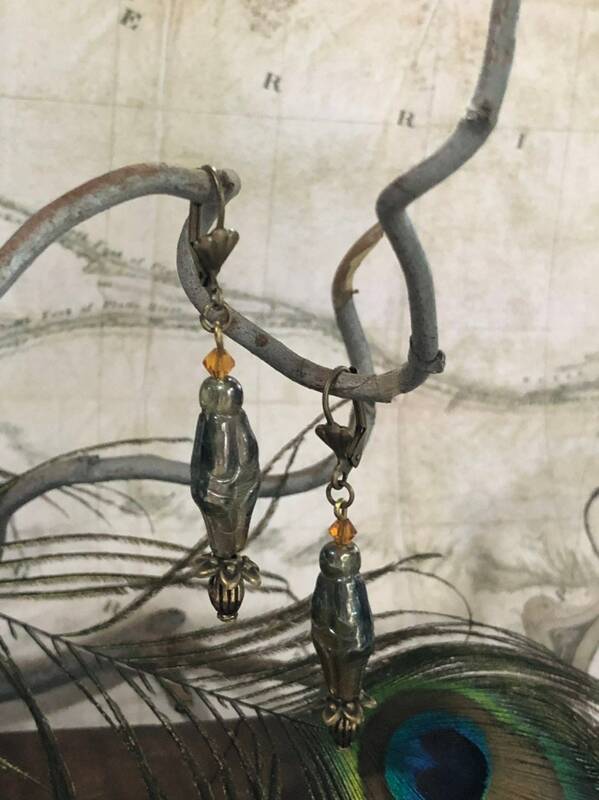 These earrings feature adorable mini Goddesses. 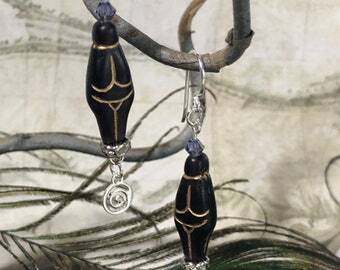 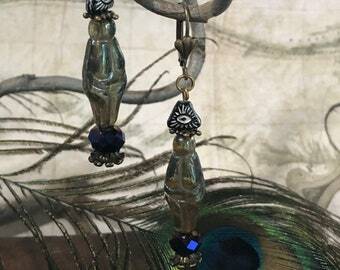 The Goddess beads are very detailed and show all those earth mother curves front and back! 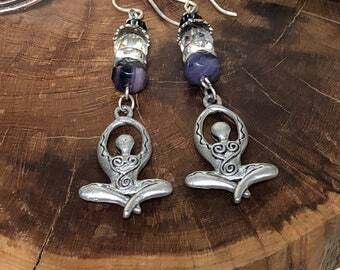 Tap into your feminine power with these lovelies! 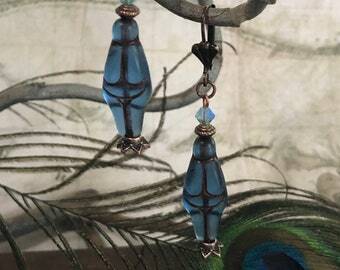 We used genuine Swarovski crystals, Czech glass beads, brass toned accents and lever back ear wires.